This is what technology can do, it make you super convenient to extent where you become exceptionally lazy. At the comfort of your bedroom, you can turn off your Gen without standing up with remote switching point. Now permit me to tell you that it is an old school going to DSTV office or Gotv office to queue just because you want to pay for your Gotv subscription. 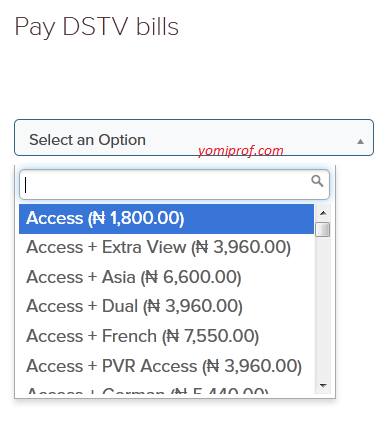 I’m going to show you how to pay from the comfort of your home your Dstv/Gotv subscription without visiting Dstv/Gotv office. How Can I Pay For My DSTV/GOTV Subscription Online? Mobile number and Phone number. 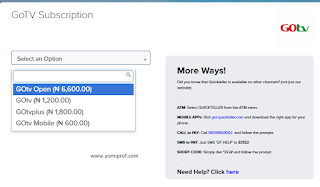 ==>It will take you to the secure billing/payment page where you can pay with your ATM Card. (i.e. VISA, Master or Verve Card). 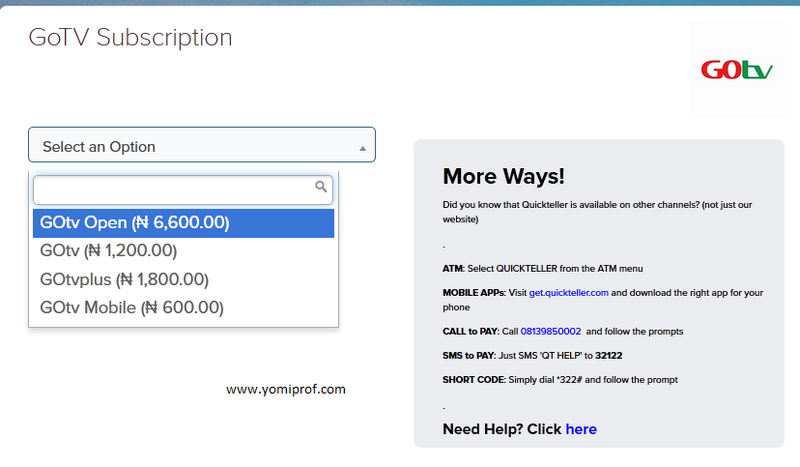 ==>Enter your ATM card details and click on “Pay Now” button, enter your Token Number to finalize your payment. Once you are done, it will take you atleast 5min for the renewal process to be complete and you’ll be back online. So easy and simple. When next I see you queue in DSTV/Gotv office, I’ll ask you to kneel down for failing my course. Thanks for the info Yomiprof! Pls I'd like to get tips on how to increase my YouTube channel views. Thanks! Token is a small device that auto generate some secret numbers. GTB normal give it to their customers if you demand for it but I don't know about other banks. 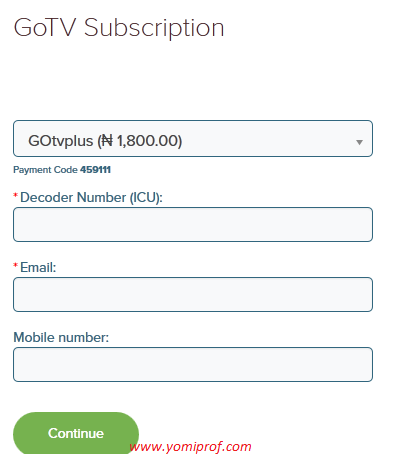 Hello guys, Enjoy a faster and convenient way to pay for your Gotv online with VTpass.